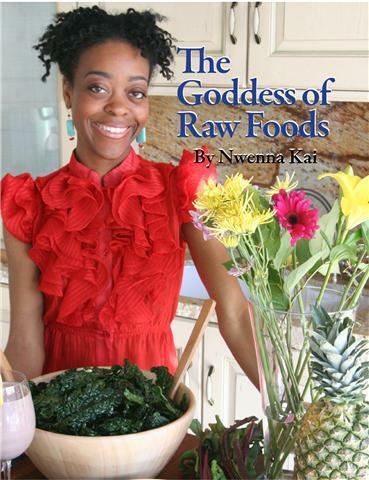 Nwenna Kai is best known as the creator, founder, and culinary designer of Taste of the Goddess Cafe, an organic raw foods cafe, catering company, and product line in Los Angeles. She has designed the raw vegan product line for the company Foodology, Inc. Her raw food creations are available in over 30 Whole Foods markets in the southern California area. She and her restaurant have been featured on E-Entertainment's THS about Diet Fads, Your LATV, LA Magazine, The Travel Channel's Taste of America, KTLA Channel 5 News with Lawrence Zarian and with Gayle Anderson, a featured chef appearance in The Ultimate Encyclopedia of the Raw Food Lifestyle DVD series, H-Monthly, The LA Wave, 944 Magazine, Innervisions on KPFK 90.7 FM radio , and Innerlightradio.com. Her debut self-titled raw foods recipe book, The Goddess of Raw Foods is available on www.amazon.com. 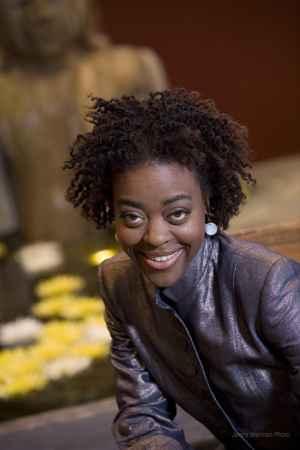 Nwenna Kai was recently awarded the 2007 Elizabeth Dole Young Entrepreneurial Grant from the organization Women Impacting Public Policy (WIPP) for her work as a health and wellness eco-entrepreneur. She travels teaching and lecturing about the healing power of raw foods.